Since my last post in November, I've been busy knitting Christmas gifts. 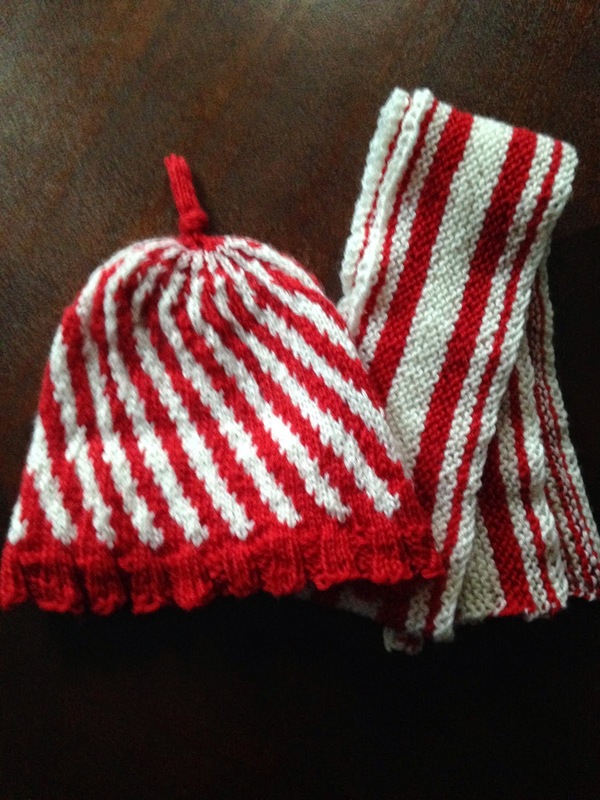 My nephew specifically requested a red and white striped hat, but he wanted the stripes to be vertical not horizontal. This candy-cane hat is my compromise. I can't wait to see him wearing this set. I think he's going to be even more adorable than he usually is. The yarn is Knit Picks Wool of the Andes superwash. I also made a chunky rib-knit cowl scarf for my best friend. 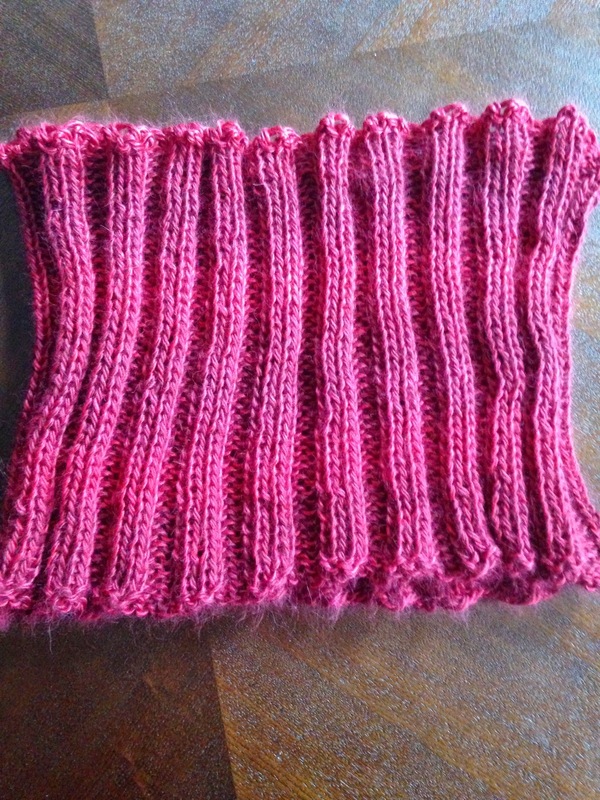 I used Knit Picks Diadem in ruby. The yarn is a gorgeous, super-soft alpaca-silk blend. I mailed it today. Hope she likes it. Next up, I'm going to make another cowl scarf for my nephew's mom. I won't see them until Christmas Day, so I should have plenty of time to finish it before then. Hope you're enjoying the holidays and knitting some beautiful things.